We are often asked what should go on a store merchandising checklist. Sometimes this question comes from a consumer packaged goods company starting a new merchandising program or a retailer that wants to increase their sales. Other times, it comes from a brand with an existing program looking to curate or improve their current checklists with a faster, automated process. Regardless of the circumstances, we have prepared a list of best-practices, intentionally high-level, to help consumer packaged goods companies, retailers, wholesalers, and distributors with this task! Metadata is largely automated with retail audit software. The user information is derived from the login, the store pick-list is built specifically for each user according to the security settings and the user’s current location and the date is selected using a popup calendar. Whenever possible, sections should be laid out to match the natural flow of a visit (a merchandiser physically walking the store). Start with the exterior (outside signage and windows if applicable) and work your way in, around the aisles and into the back of the store. While you can jump around between sections during or after the visit, setting up the form according to the natural flow of a visit saves time and is more intuitive. Certain sections or items may not be applicable to all locations. For example, the “Floor displays” section may not be applicable to a small store format located in an urban center. Likewise, certain promotional signage may not apply to all retail banners in a merchandiser’s territory. Retail audit software allows you to disable entire sections and items at certain stores according to the store type or banner. Doing this saves time and again, is more intuitive. For paper-based checklists, you may want to provide an NA option with a section for comments to get the most complete information. Looking for a sample merchandising checklist? Instead of creating a small number of large sections, consider creating a larger number of small sections. This helps with data-entry on smartphones and also renders the reporting more granular and meaningful. 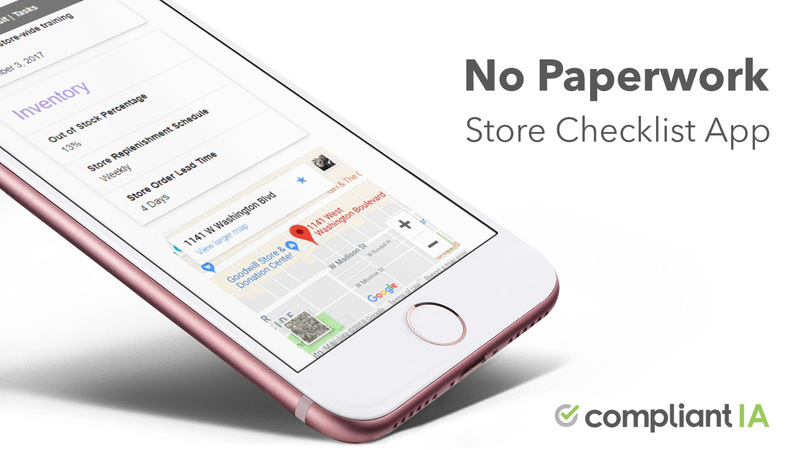 For Paper-based checklists, this allows you to flip easily between pages to access the relevant section. and add up your final scores. Assign points according to the relative importance of each criterion. While it is easy to think of everything as important (and if a criterion is not important, it should not be on the form), some items are often more important than others, even critical to the continued success of the business. Seasonal merchandising and CPG-paid bulk floor displays come to mind. Assign points and make use of a “Critical” flag accordingly. A critical item sets the value of the entire section to zero, regardless of other items, if found non-compliant during the visit. Don’t worry about keeping track of the total score. Retail audit software automatically calculates the visit score and a score by section for you as the visit takes place. You may also want to assign tags to items within your checklist. Examples of tags may be “customer service” or “cleanliness.” At the end of the visit, you will also receive individual scores for these tags to help you identify other areas that might need improvement. “Is the main table display merchandised cleanly with the latest seasonal product?” Yes! Standards should be clear and unequivocal. Don’t use vague words like “recent” or “good”. For example instead of saying, “Product ordered recently”, consider using, “Product ordered less than 2 calendar days ago”. If referring to the number of product facings or lapsed times, give actual numbers. Clearly spell out what the standard is. If it takes one paragraph to define the standard, use one paragraph. If you have one, attach a best practice photo to an item to illustrate the standard; a picture is often worth 1,000 words and more likely to make an impression than words alone. 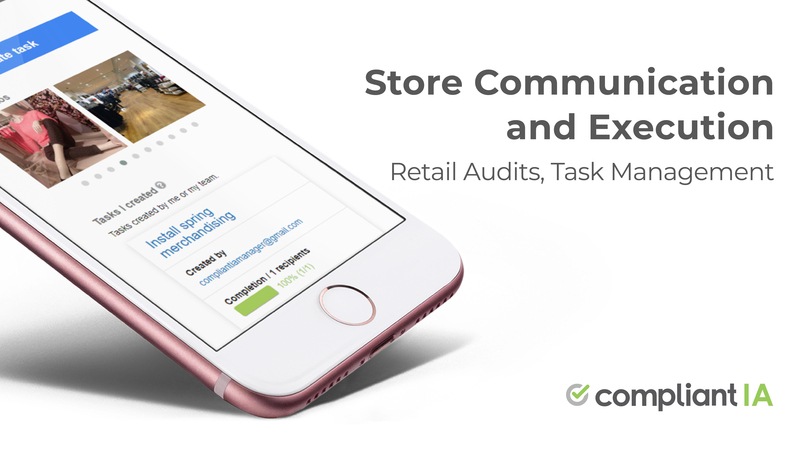 Some retail audit software allows you to attach “best practice” pictures and supporting documents to any form item and section. The frequency of merchandiser store visits (at least visits involving the merchandising checklist) will vary from one organization to the next. On one end of the spectrum, some organizations conduct as many as one visit per week. Other organizations may only conduct one visit per quarter. Some organizations use a hybrid model. They use a standard form to capture their core merchandising standards (say twice a year) and create a number of smaller forms for visits throughout the year, sometime tying these visits to seasonal programs. Retail audit software allows an organization to create any number of forms, each with its own start and end date. You can also schedule visits for your teams daily, weekly, monthly, quarterly AND yearly! Discuss the form with your merchandisers, field and sales managers. Solicit their input and feedback. We call this phase “calibration“. A merchandising checklist is as much an audit tool, as it is a vehicle for continuous improvement. Define the standard, communicate and measure it. Then, you will meet the standard and achieve your sales goals. The factors that need to drive your decision are your costs, time, your return on investment, time-to-market and the value and benefits that you will derive from the software you chose. Read more on buy vs build: Retail Audit Software: Buy vs Build or if you want to start testing out a retail audit checklist tool now, try Compliant IA free for 30 days!